the workshop is all closed up for the holidays. smash up plum stones in a mortar and pestle or however you can (this was interesting). make a muslin bag and tie up the stone bits. place plums in stainless steel bowl with sugar and bag of stones. cover and leave in cool place overnight. transfer whole lot to a preserving pan and slowly bring to a boil, stir gently. 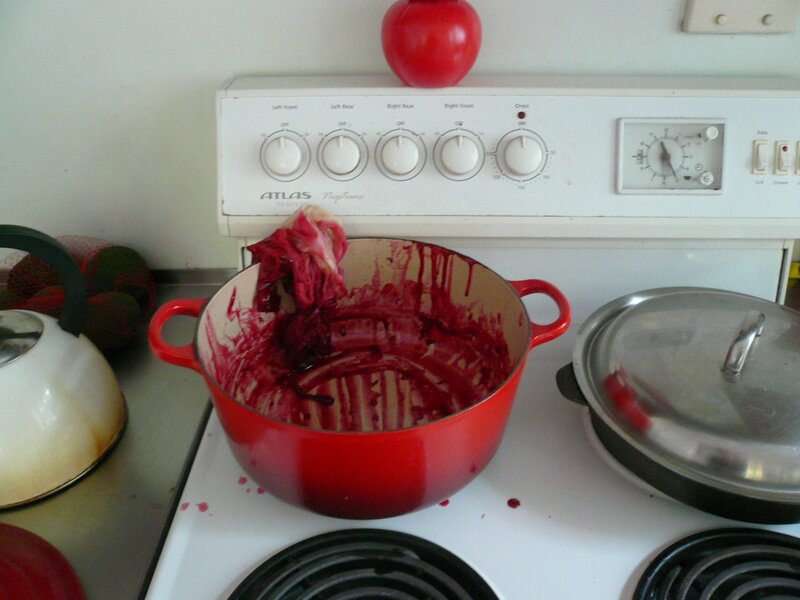 cook for 25 – 35 minutes, removing any scum as jam reaches setting point. I used the spoon test to determine setting point. Remove jam from heat, take stones out and spoon jam into sterilised jars and seal. make fun labels. the end. This entry was posted in plum jam on January 4, 2009 by kristindagostino.